100; a company she has successfully developed and managed over the past 20 years. She is an entrepreneur and a human resource practitioner with over 25 years’ experience and has represented the Ghana Employers’ Association (GEA) during International Labour Organization (ILO) conferences on numerous occasions. She is also an Honorary Fellow of the Boardroom Institute of the Graduate School of Governance and Leadership and a board member of “The Christian Sentinel”, the magazine of the Methodist Church. Additionally, she is the co-founder of Legacy Leadership Girls’ School, a secondary institution that aims at nurturing and guiding the leadership potential in girls. Dr. Ellen Hagan is a graduate of the University of Ghana, Legon and holds an MBA from the University of Leicester, UK. She also holds a Ph.D. (Humanities) from the Pan African Bible Seminary. She is a multi-award winning entrepreneur with some of her awards being the CIMG Marketing Woman of the Year 2011 award, in recognition of her invaluable investment and service to human resource development in Ghana, the Outstanding Female Entrepreneur at the Ghana Women Awards 2013 and the Best Entrepreneur in Corporate Services 2012 by the Ghana Entrepreneurship Foundation.Recently she was honored at the Kafour Awards in Cotonou for her contribution to the world of work. She was also conferred with the “Strategic Leadership Award” at the World HRD Congress in India in 2011, in recognition of her achievement in Human Resources development in Ghana and also received the B.I.D International Gold Star for Quality Award, in Geneva, in 2012. She was also the VLISCO Ambassador for the year 2013 after winning the Vlisco ‘Be your Dream Award’ and was also named by e.TV as the 9th most influential Ghanaian in 2012 when they released their annual 100 most influential Ghanaians of the year. 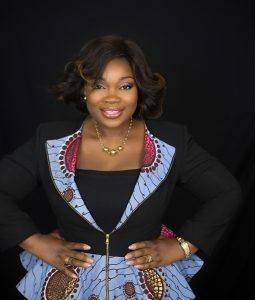 She was recently named as the Regional Winner for the Business/Professional Services sector in the CEO Africa’s Most Influential Women Awards. Career counseling and guidance is another area in which she focuses a lot of her attention. She mentors the youth at tertiary level when they are about to enter the world of work. Following her desire to see the youth move forward in their work life and to open the eyes of the youth to job opportunities other than formal office work, she established The L’AINE Foundation, an entrepreneurship foundation that supports start-up companies with mentorship, training and funding. In 2017, Dr. Hagan was named amongst the WomanRising 100 Most Outstanding Women Entrepreneurs in Ghana and adjudged the Woman Entrepreneur of the Year. She is married to Mr. Gilbert Hagan; himself an entrepreneur, and they have four children.